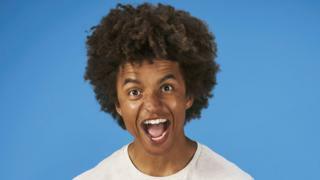 Presenter Radzi Chinyanganya will leave Blue Peter after spending five and a half years on the children's programme. The 32-year-old was the show's 37th presenter, when he replaced Helen Skelton in October 2013. He announced the news last night on Instagram, describing his time on the show as "a genuine childhood dream come true". "I'll always be grateful for the experiences I've had, the people I've met and the relationships I've made,"
"I will undoubtedly miss being part of the show, but all good things must come to an end," he added. CBBC also revealed the "sad news" in a statement on Twitter last night, writing that the presenter will be leaving in April. "Radzi has been a great presenter on the programme," they wrote. His co-presenter Lindsey Russell said: "I'll miss him... ❤️"
One fan called Chinyanganya a "brilliant and iconic" addition to Blue Peter, that will "forever be remembered". He previously reported on CBBC's Match of the Day Kickabout and in 2017, was one of the co-presenters for ITV's game show Cannonball, alongside BBC Radio 1's Maya Jama.